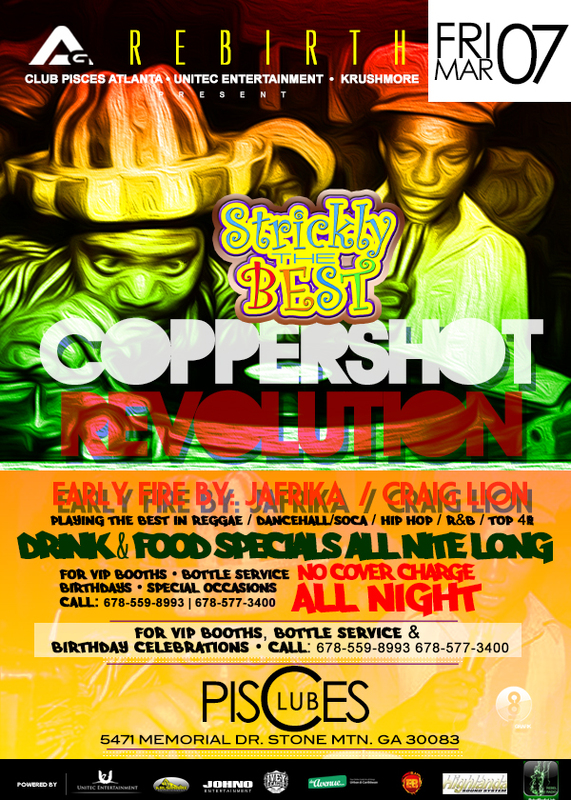 Access Granted ‘Strictly The Best’ with Coppershot out of Kingston Jamaica, Revolution Sound, and featuring Craig Lion. Friday March 7 at Club Pisces. No Cover Charge!